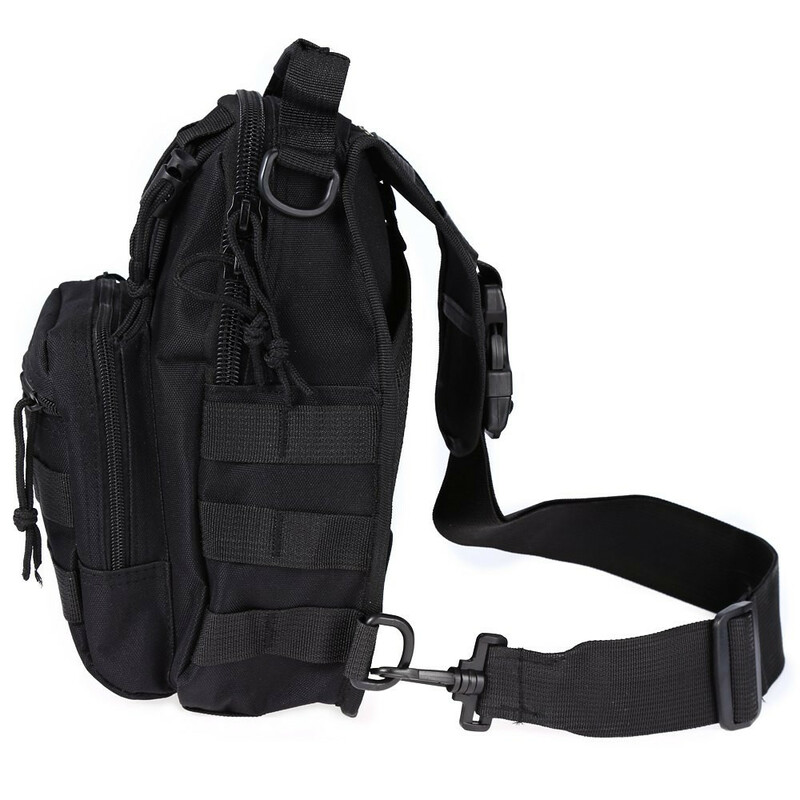 This 'Goes Anywhere' Sling Pack is perfect where larger packs are too big, too bulky and too heavy. 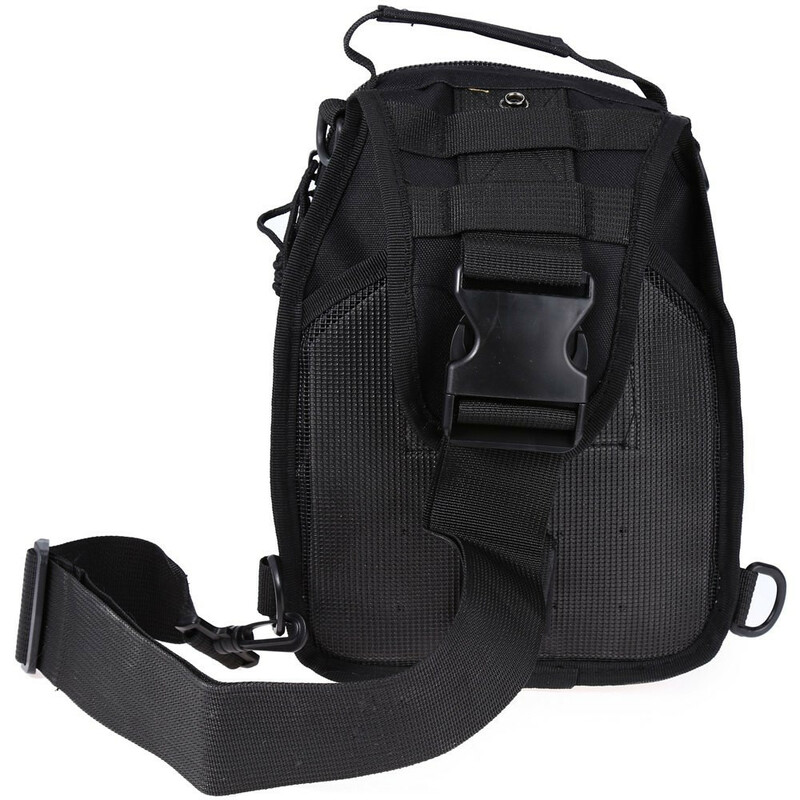 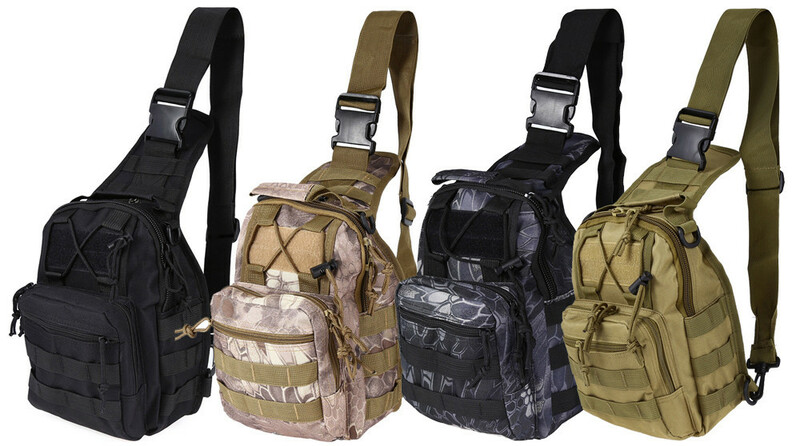 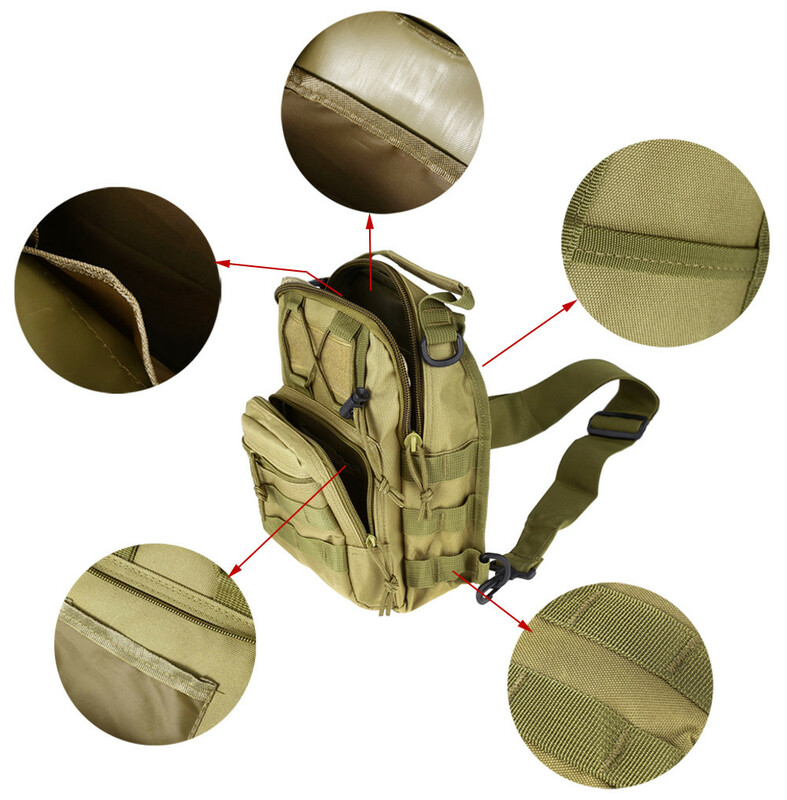 This all-purpose, compact and durable outdoor tactical bag allows you to comfortably carry all your essentials & gear! 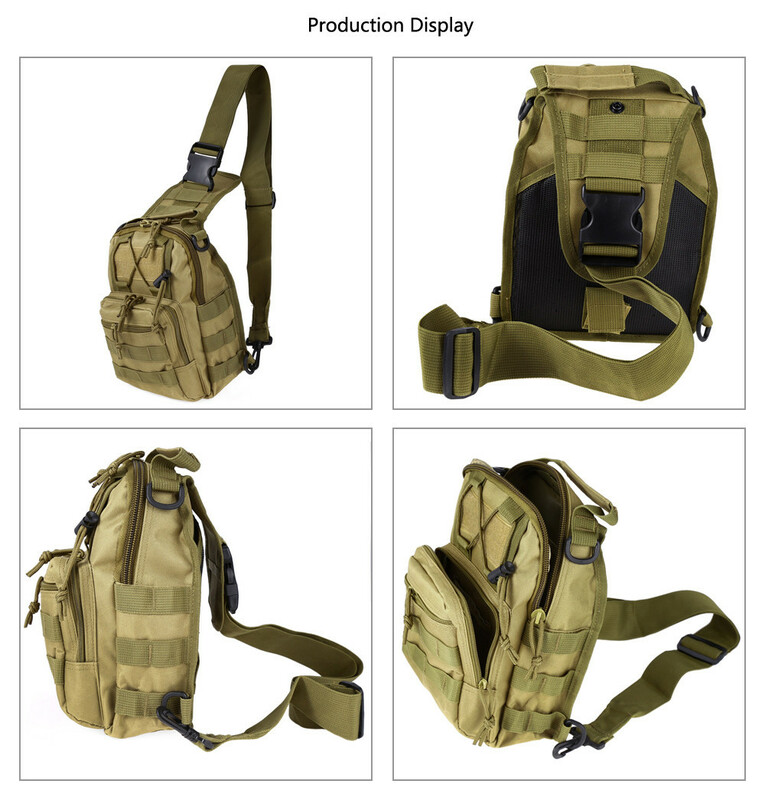 Made from high quality 600D waterproof nylon fabric, The main compartment is spacious and zips close and includes inner pockets and additional front storage zip-up compartments! 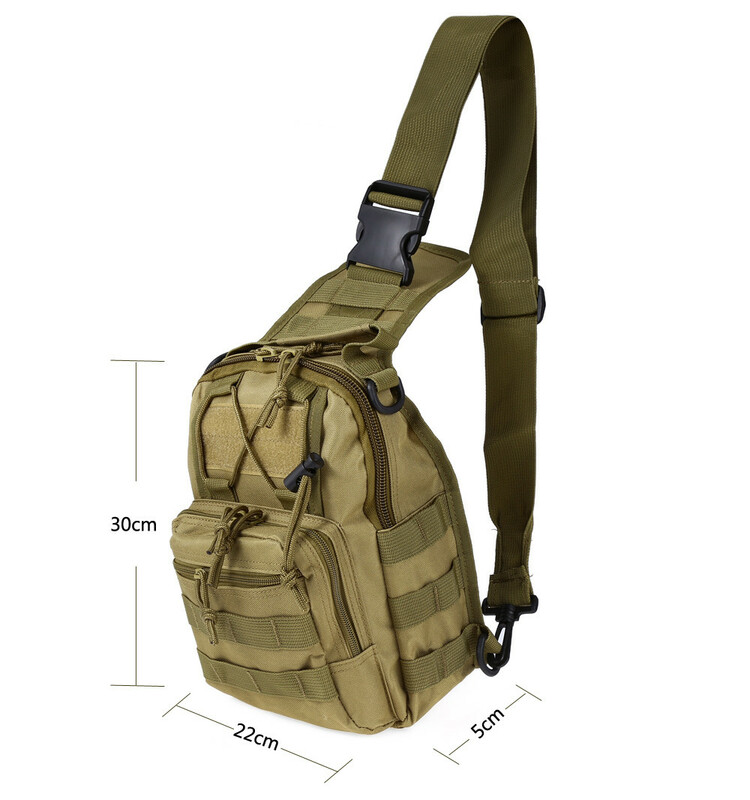 crafted from 600D military nylon fabric, high intensity and durable. 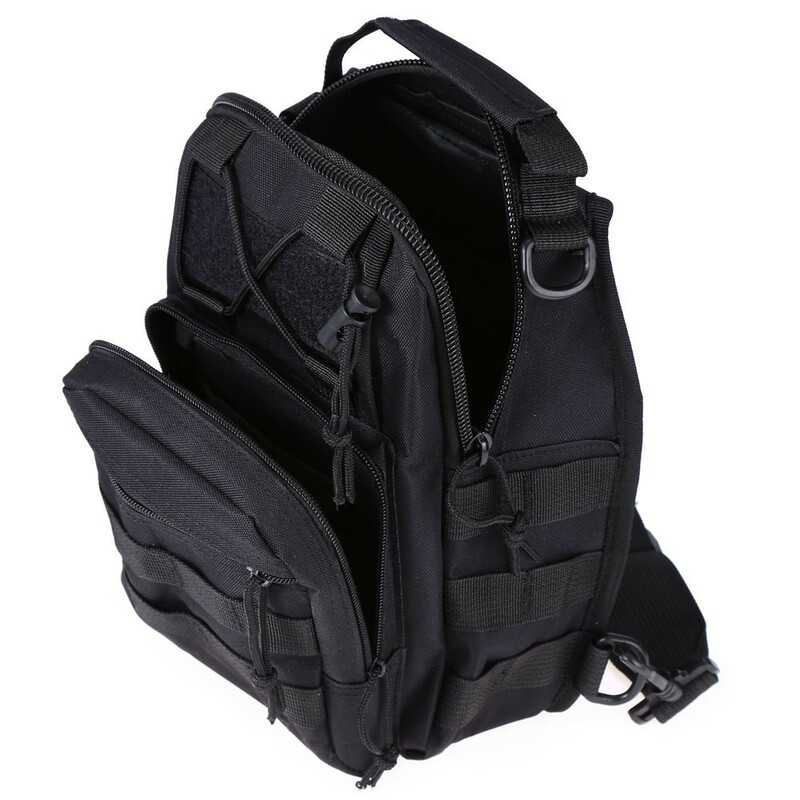 Features main compartment with two pockets and front lower compartment with elastic organizer loops and key retention.